OAKLAND – The NBA’s two best offensive teams in January played the kind of game you probably should’ve expected, given the firepower available to both squads. 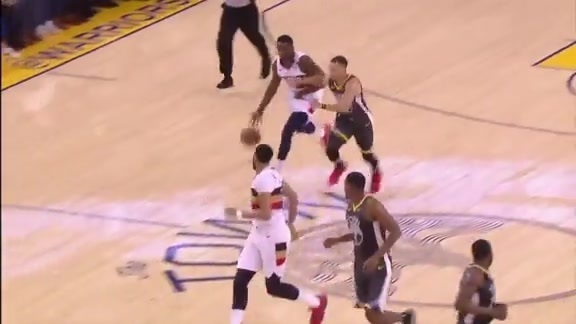 Ultimately, Golden State outlasted New Orleans, as the Pelicans scored the most points in a loss in franchise history, while allowing the most points ever in any game. Winners of four of its previous five games, New Orleans was seeking a signature win during a recent quality stretch and played very well for much of Wednesday’s matchup. 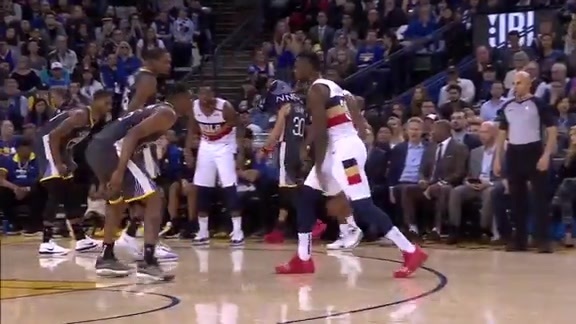 The Pelicans led by as many as 17 points, before the Warriors stormed back to finally wrest control away in the final two minutes. Golden State kept making big shots, including a corner three-pointer by Draymond Green to go up eight on the scoreboard late. 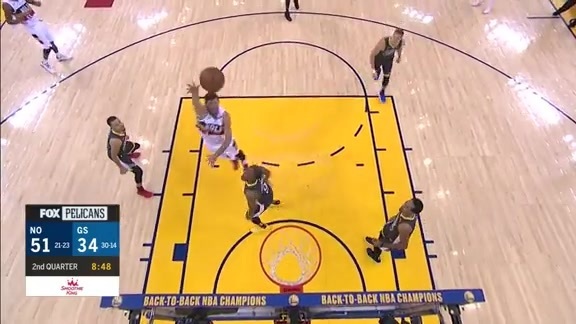 Andre Iguodala tacked on an alley oop slam for a 141-133 edge with less than a minute remaining. With 13 seconds to go, Stephen Curry sank two free throws, topping the previous opponent record of 146 points vs. New Orleans. Nikola Mirotic played one of his best games since joining New Orleans in a midseason trade last winter, scoring 29 points off the bench in 28 minutes. The forward was in quick-strike mode from the moment he entered the action, finishing 6/10 from three-point range, while making a few from well beyond the arc. After struggling a bit in previous games since his return from an ankle injury, Mirotic’s shooting was the X-factor that nearly carried the Pelicans to a road upset in one of the NBA’s toughest venues. Another shooter who’d struggled earlier in the road trip, E’Twaun Moore, supplied 17 points on 7/13 shooting. Whether it was Curry draining 10 three-pointers and going on a few ridiculous shooting binges, or the Warriors scoring 81 points in the second half, there were several developments Wednesday that could’ve been filed under “maybe only Golden State could do that.” Following the loss, New Orleans often chose to look back at some of the encouraging aspects of what took place in Oracle Arena, which included the Pelicans piling up 36 assists and tying a franchise record for three-pointers made in a game (19). 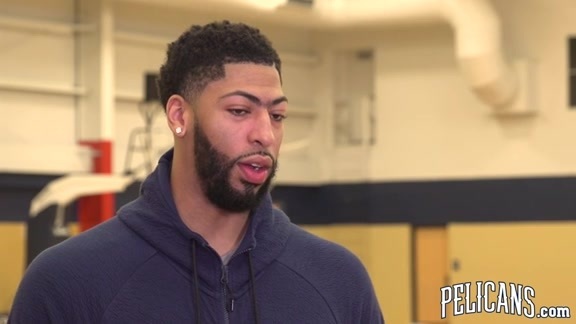 “We showed that we can compete with anybody,” said Anthony Davis (30 points). The key now is to play similarly against the other 28 opponents in the NBA, including Friday at Portland. 10: New Orleans turnovers, a low number in yet another area where the Pelicans fared well against the Warriors. 19-5: Warriors edge in second-chance points, particularly vital in the fourth quarter, when they came up with key offensive boards. 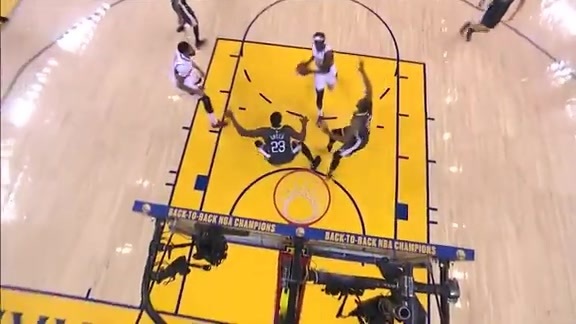 Kevon Looney grabbed six at that end of the floor. 12: Elfrid Payton assists, leading the Pelicans. Davis and Holiday each had seven dimes. 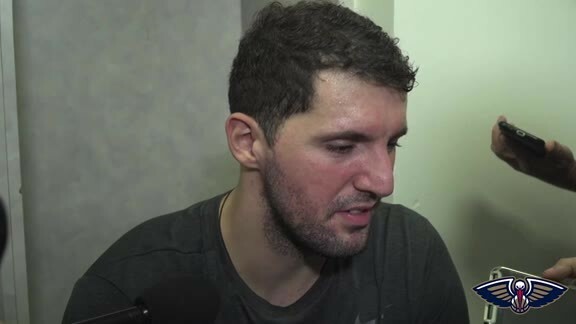 Forward Nikola Mirotic speaks to the media after the Pelicans lost to the Golden State Warriors 140-147 on January 16, 2018 at the Oracle Arena in Oakland, California. 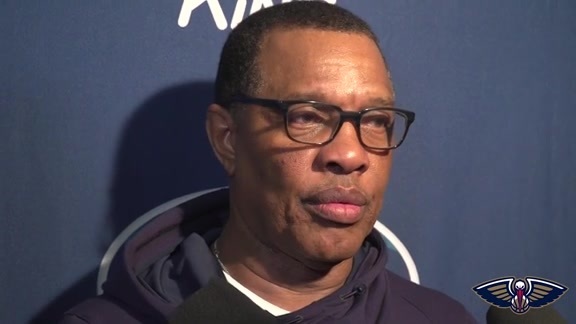 Head Coach Alvin Gentry speaks to the media after the Pelicans lost to the Golden State Warriors 140-147 on January 16, 2018 at the Oracle Arena in Oakland, California. 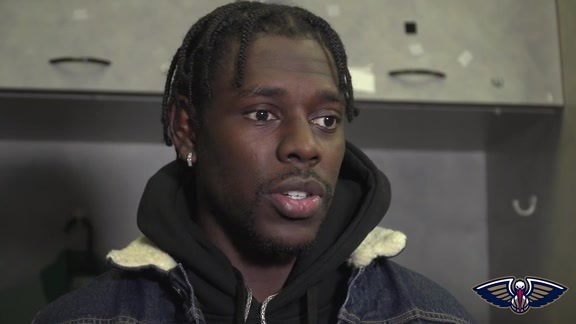 Guard Jrue Holiday speaks to the media after the Pelicans lost to the Golden State Warriors 140-147 on January 16, 2018 at the Oracle Arena in Oakland, California. The Pelicans and Warriors combined for a record 43 triples in Wednesday's game. Here are the best from the Pelicans! Pelicans Anthony Davis led the team with a 30-point performance in the team's loss to the Warriors on the road. 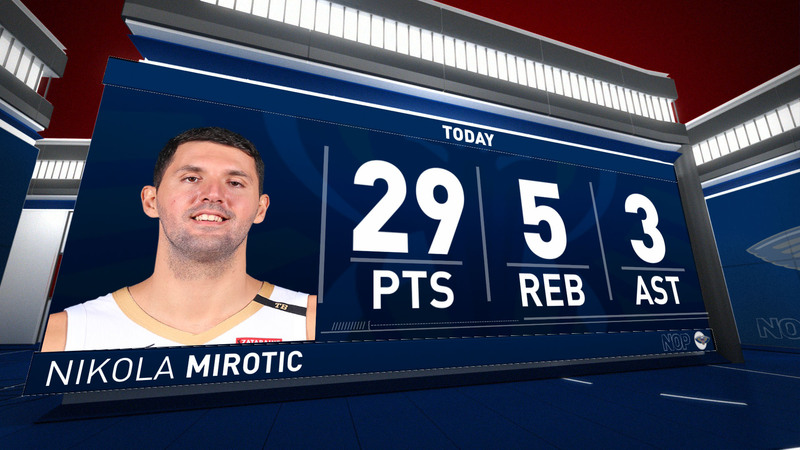 Pelicans Nikola Mirotic tallied 29 points off the bench for New Orleans in their road battle against the Warriors. 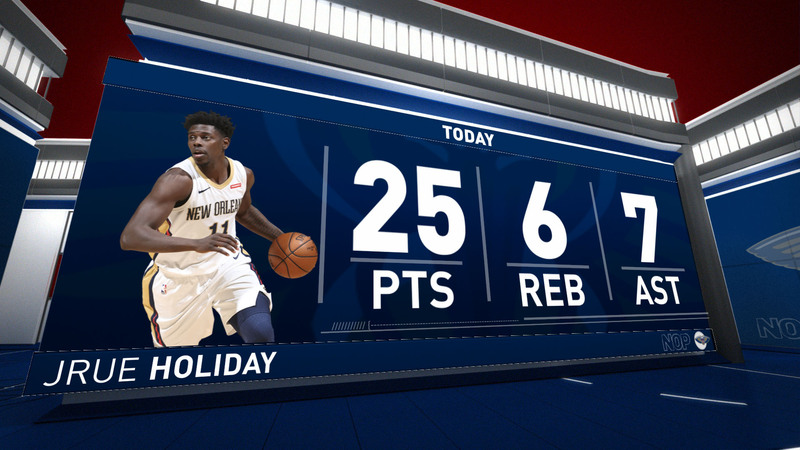 Jrue Holiday was connecting from deep against the Warriors, tallying 25 points in the Pelicans loss. Pelicans Elfrid Payton was dishing out dimes against the Warriors, finishing with 12 assists on the night. Pelicans Jrue Holiday draws the contact and finishes on the fast break in the fourth quarter. Pelicans Julius Randle bounces it through the defense to Jrue Holiday for the slam. 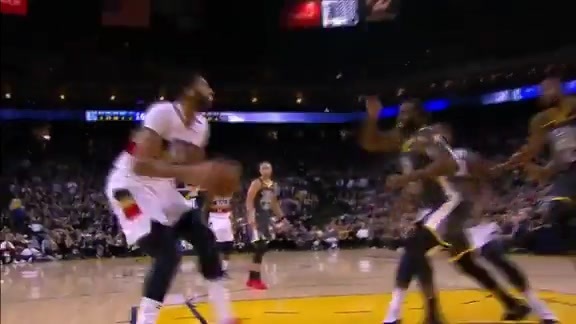 Pelicans Darius Miller finds Anthony Davis who drives the baseline for the big dunk and one. 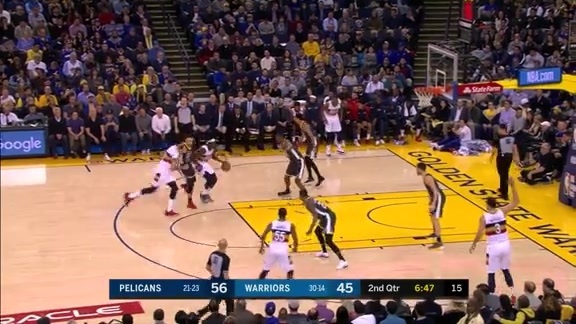 Pelicans Jrue Holiday connects from beyond the arc against the Warriors. Pelicans Julius Randle grabs the rebound, dribbles down the floor and drives to the rim. Pelicans E'Twaun Moore beats the shot clock with a wide open triple. 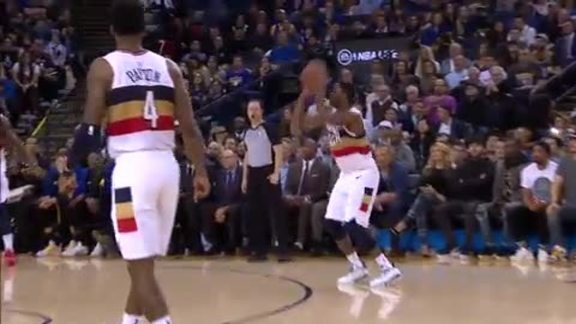 Pelicans Jrue Holiday feeds Nikola Mirotic for a corner three, registering his 4,000th career assist. Pelicans make a second quarter push to extend the lead against the Warriors in the first half. Pelicans hitting early from beyond the arc with six triples in the first quarter. 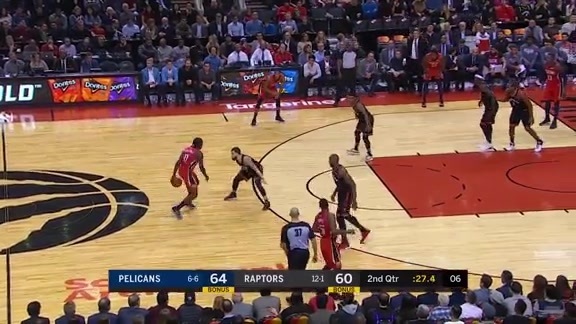 Pelicans Nikola Mirotic puts on the moves in the post and finishes with the floater. 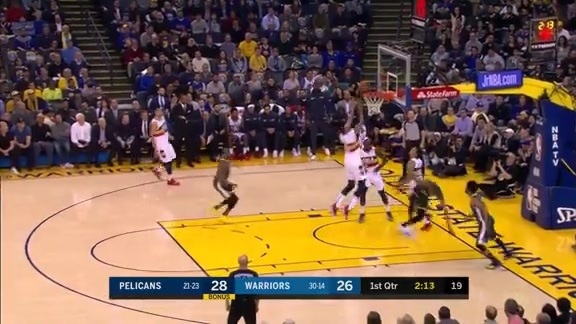 Pelicans Anthony Davis steals it away and finishes with the second chance slam dunk. Pelicans Anthony Davis finds a driving Jrue Holiday down the lane for the easy bucket.